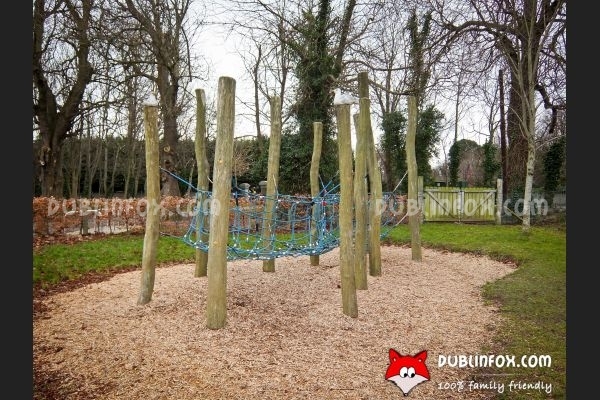 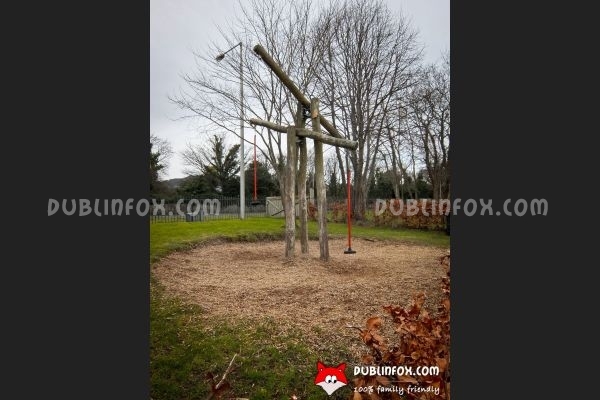 The playground in Shanganagh Park is a very interesting one, as basically it is made of several small separated playgrounds. 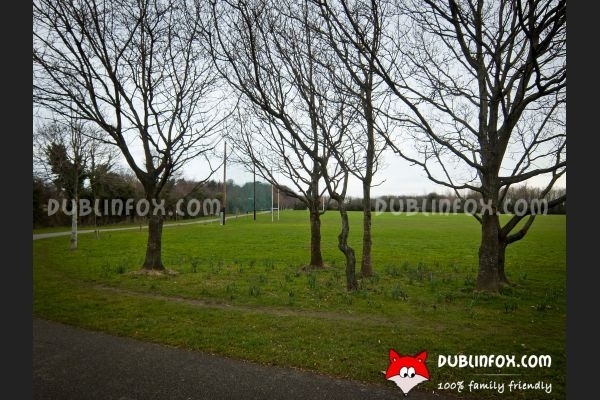 Parking beside the park apart from busy and sunny weekends is usually not difficult at all, as there are plenty of parking spaces if you come from Dublin on Dublin Road and turn left after passing the park. 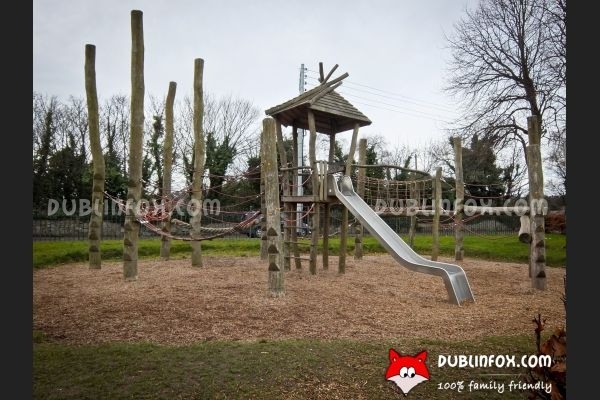 As regards the playground, it is suitable for toddlers and older kids alike. 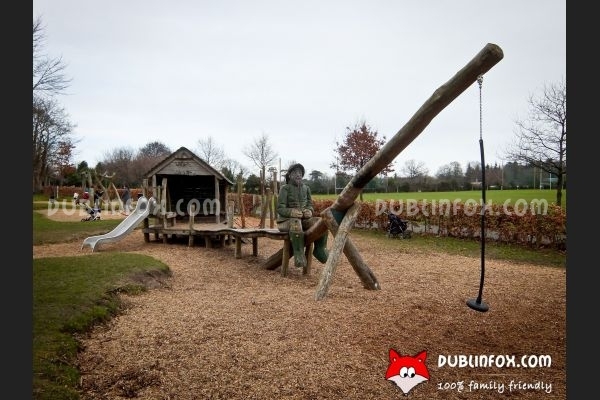 Most of the playing equipment is made of wood, that gives the playground a friendly, natural atmosphere. 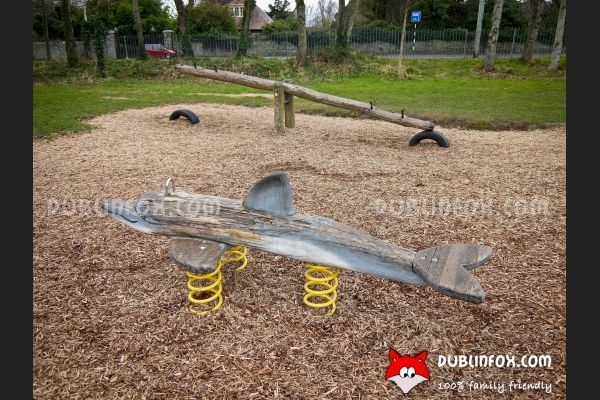 Unfortunately the surface of the playground is not washing-machine friendly at all, as after rainy days wooden chips do not dry out easily, so the playground stays muddy and mucky for days then. 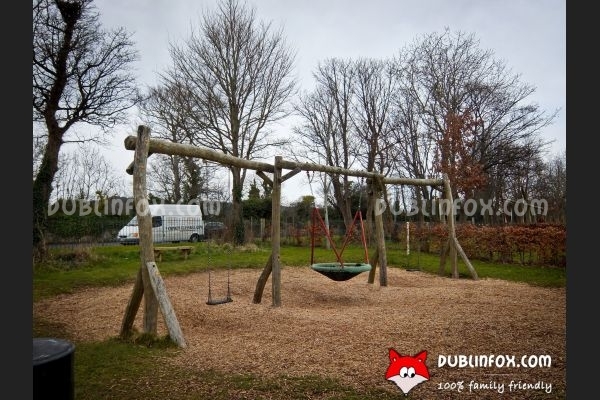 The park itself around the playground is HUGE, there are several open spaces, pitches, walkways and if you are not afraid of a bit of a stroll, a footpath leads diectly to the beach, too! 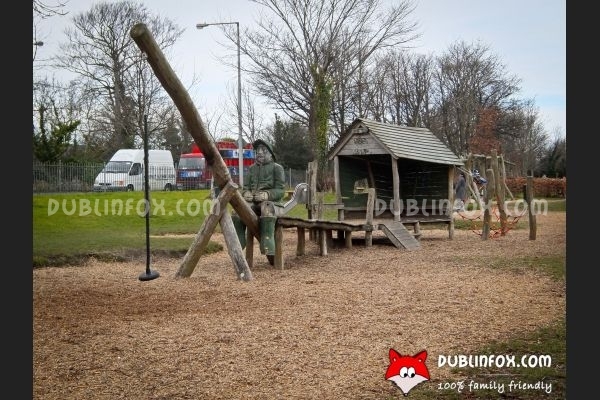 Pictures are coming soon! 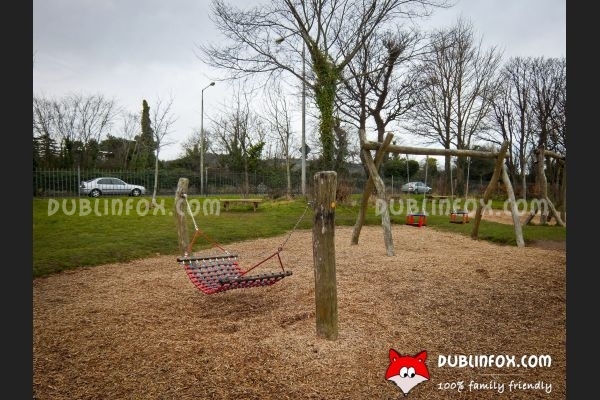 How to get there: It is advised to visit the park by car.